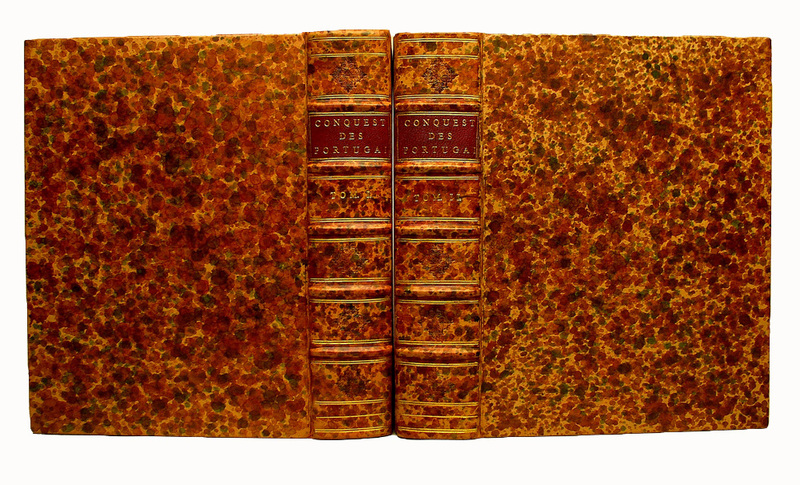 Early French binders used colorful dye patterns to enhance their leather. This binding replicates that effect. 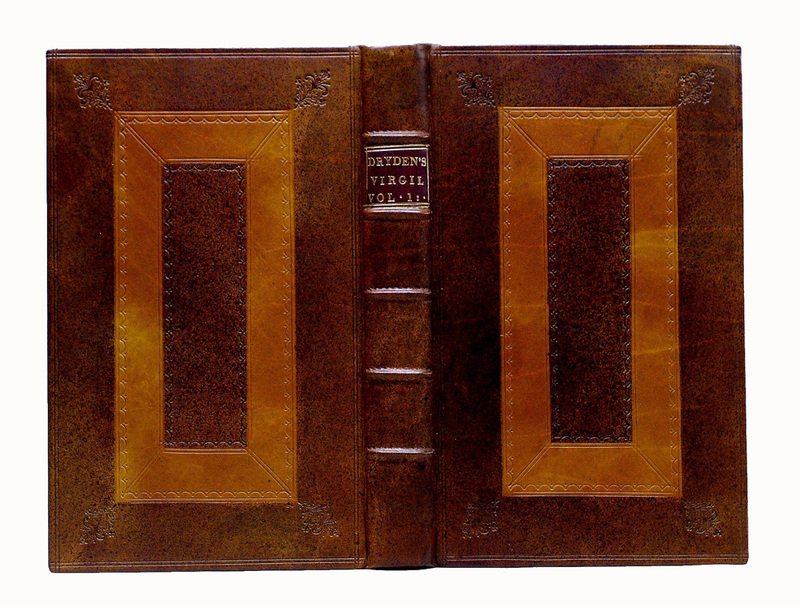 When the original binding is missing or too deteriorated to be saved, a period style bookbinding uses historical construction and decoration to reproduce the book as it would have looked in its own time. 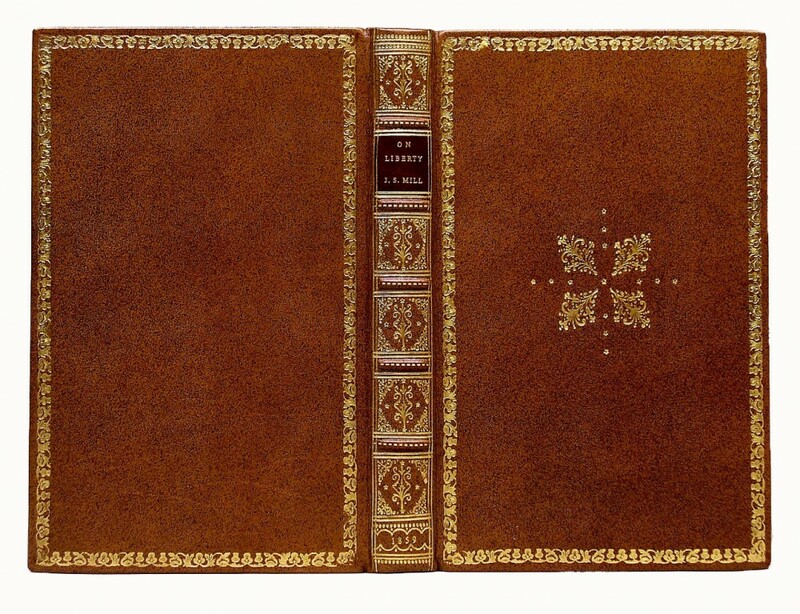 In addition to the photos on this page, you’ll find two more examples of period bookbinding in this blog post on decorative paper. 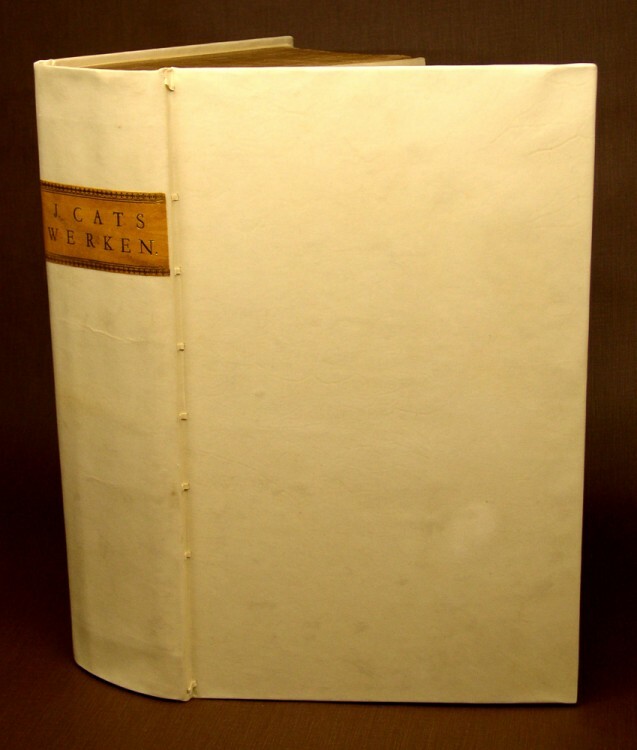 J. Cats’s Werken, bound in Dutch style full vellum laced into the boards.